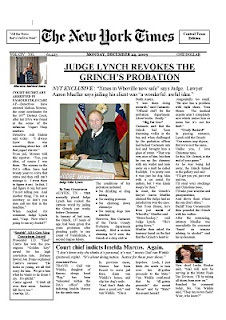 For your perusal over Christmas, I present the New York Times, Yuletide Special, Austin edition. LOL! I'll be sharing this. :-) Merry Christmas!